« What can the Steve Jobs biography tell us about education? In the past month, I’ve stumbled across a couple of great finds at Pulp Fiction books on Main Street. First, I found Marshall McLuhan’s The Medium is the Massage (1967), which is the more accessible follow-up to his landmark book, 1964’s Understanding Media. The Medium is the Massage is unique in that there is very little text in comparison to graphics.It was co-created with graphic designer Quentin Fiore, and it’s a pleasure to hold in your hands and flip through the pages. It dawned on me that this book simply could not work as an e-book, and that the physical nature of the pages was every bit as important as the text and graphics scattered throughout. 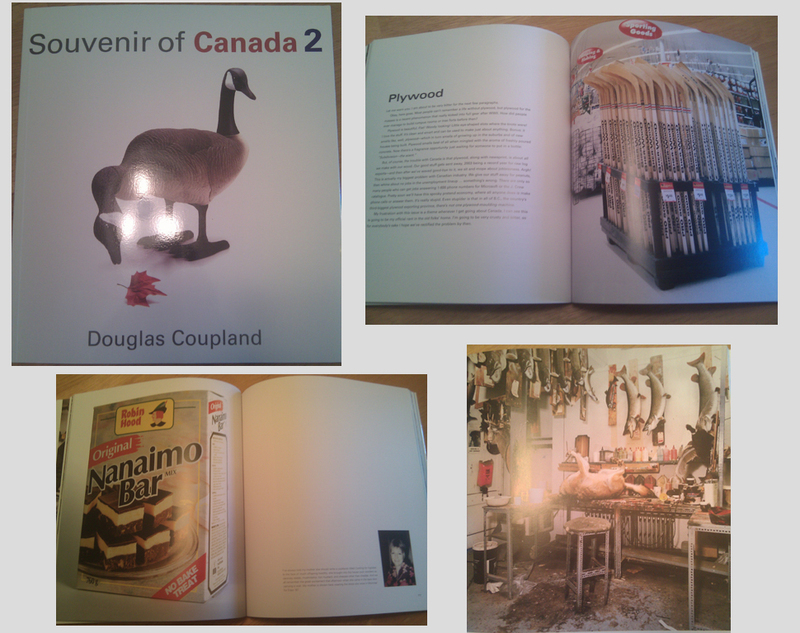 A couple of weeks later I found Douglas Coupland’s Souvenir of Canada 2, which, like McLuhan’s Massage, is dominated by graphics rather than text. The cover and a few pages of Coupland's Souvenir of Canada 2. 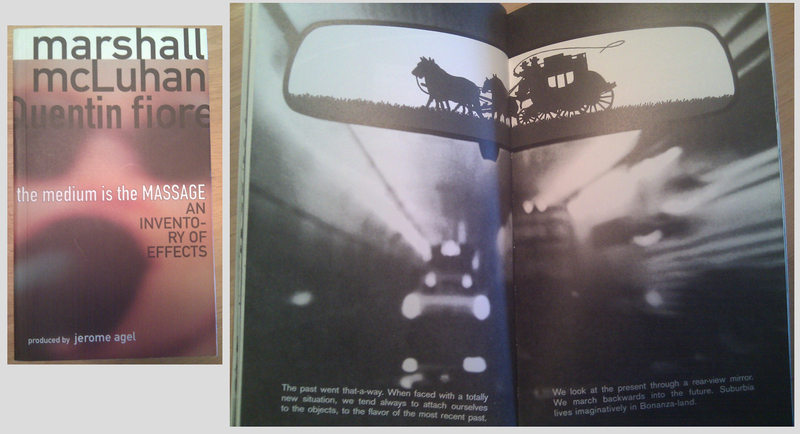 I’d estimate that both books’ pages are comprised of about 20% text, and 80% graphics or white space. Coupland’s collection of Canadian artifacts is humorous, simple, and understated. It’s the kind of book you leave on your coffee table, to have your friends and family mull over the images of Nanaimo Bars, hockey sticks, and a hunter’s workbench. If we all shift to reading e-books, will anyone leave books on their coffee tables anymore? The book’s charm lies partly in its physical nature, and its mostly white cover with the Canadian goose begs for it to be picked up and skimmed through. Can you skim through an e-book? Could this book even exist as an e-book? Would anyone want to publish it? Would anyone want to read it? Perhaps authors and publishers are well on their way to figuring out how to make unique graphic-heavy books come to life electronically. The next generation of tablets looks promising, and I’ve seen children’s picture books look incredible on an iPad, complete with crisp graphics and even animations. Who knows what the future of reading looks like? History has shown us that media is full of surprises. Sure, we’re getting great new mediums to tell stories, but a part of me is wondering what we’re giving up in the process. Neil Postman, a friend and advocate of Marshall McLuhan, built upon many of McLuhan’s ideas in his countless books, essays, and lectures. He noted that when new mediums take over, “the result is not the old culture plus the new medium, but a new culture altogether.” What is our new culture of reading going to look like? Are books still extensions of the eye, something more, or something less? 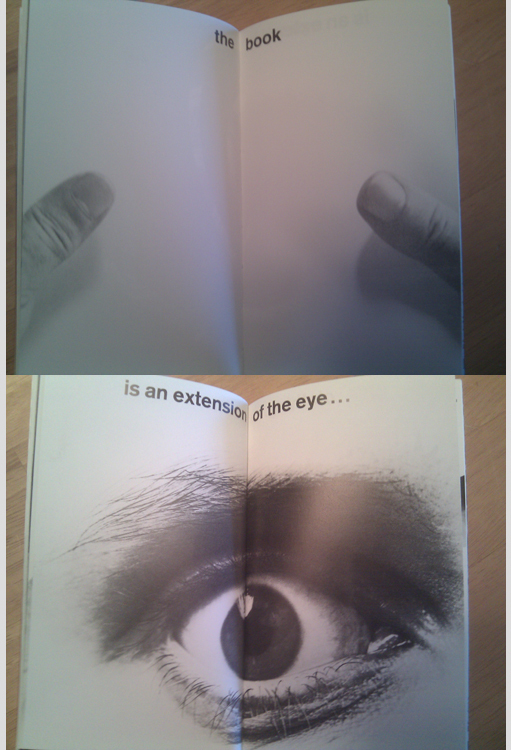 Four consecutive pages from McLuhan's The Medium is the Massage.